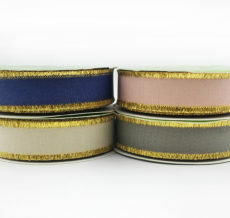 May Arts metallic ribbon comes in a wide range of sizes, colors & designs. 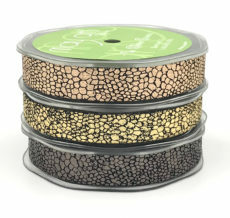 Our metallic ribbon is an excellent choice for all your holiday needs, from gift wrapping to decorating! Add some sparkle to New Years, birthdays & anniversaries with silver & gold!